An Aluminum pry bar is lighter and easier to work with, especially when working at shoulder height. 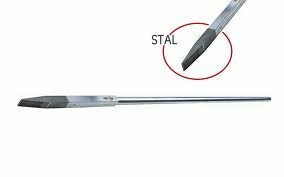 The steel point is required if the bar is to be used to strike and cut. The steel point is used to strike and cut. Has a reinforced heel bar that is primarily used for breaking work. An aluminum tool does not rust, has better resistance to cold. It can be bent about three times as much as a steel tool without being deformed. If you have any questions about this product by Hultafors Tools, contact us by completing and submitting the form below. If you are looking for a specif part number, please include it with your message.